The most common types of available security interests that can be granted under Vietnamese law are the pledge of property and mortgage of property. The Civil Code 2015 also provides for security by way of performance bond, security deposit, escrow deposit, title retention, guarantees, reputation based collateral and lien on assets. Of particular note, types of security generally available in other common law jurisdictions such as assignment by way of security, and fixed or floating charges are not recognised under Vietnamese law. it is not subject to prohibited transactions. Collateral may include movable property, land use rights and assets attached to land (including plants, buildings, equipment and machinery), receivables, shares, securities, onshore and offshore bank accounts, contractual rights, proceeds from investments and the sale of collateral. In respect of property to be formed in the future, collateral may include after-acquired property but it excludes land use rights. In respect of operating or other licence rights or concessions in highly regulated industries, the enforcement of security created over such rights is uncertain, given that those rights are granted specifically to certain eligible investors and the transfer of such licence rights is subject to strict conditions. For example, the transferee of a mining exploration licence must satisfy all the conditions for the grant of mineral exploration licences under the Law on Minerals. As a practical matter, senior lenders typically accept taking a mortgage over equity interests of the project company, contractual rights to income streams due under project documents and other project assets, rather than the licence itself. In general, a security agreement must be in writing. Depending on the type of secured property (such as land use rights, forest use rights and ownership rights of planted production forests, aircraft or seagoing vessel, other cases provided by law), mandatory registration of security may apply. A security interest, in principle, will take effect as from the time of execution by the parties, subject to certain exceptions. However, such security interest should be registered to be enforceable against a third party’s competing claims as from the date of completion of security registration. Registered secured transactions will have priority in terms of payment over any unregistered secured transactions. The priority of payment to creditors is established according to the order of registration principle. There is a nominal registration fee applicable to the registration of a secured transaction. Foreign lenders may engage a credit institution licensed to operate in Vietnam to act as an onshore security agent to hold the collateral for and on behalf of them, though the regulatory framework on appointment of onshore security agent is not well developed. Currently, land use rights generally cannot be mortgaged in favour of a foreign lender. Land and assets attached to land may be mortgaged to a credit institution licensed to operate in Vietnam, subject to certain conditions. The parallel debt clause concept is not recognised in Vietnam. with respect to other types of property, a creditor may search existing security interests against the property through the National Registry of Secured Transactions Portal under the Ministry of Justice. other arrangements agreed by the parties to the secured transaction. If no agreement is reached on the enforcement method of a security interest, the collateral must be disposed of by way of an auction. In the case that secured assets are land use rights and assets attached to land that are registered with the land use registration office, the realisation of secured assets must also be notified to such agency. When a single item of property is used as security for performance of multiple civil obligations, prior to the realisation of such property, the realisation must be notified in writing to other secured parties. As soon as a Vietnamese court accepts an insolvency petition, the enforcement of a security interest over the collateral by a project lender will be temporarily suspended until the bankruptcy proceedings are commenced by the court, except for the case where the security interest is likely to be damaged or dramatically devalued, where the enforcement of such assets may be immediately made at a court order. The bankruptcy proceedings apply to all entities, excluding to the extent of any contrary provision provided by an international agreement to which Vietnam is a signatory. There is a preference period of six months (or 18 months if it is a related transaction) prior to the date on which a Vietnamese court decides to commence bankruptcy proceedings against an insolvent entity where certain transactions will be deemed void. Vietnam’s foreign exchange market is highly regulated. Within the territory of Vietnam, all transactions, payments, listings, advertisements, quotation, pricing, writing price on contracts, agreements and other similar forms for residents and non-residents must not be effected in foreign currency except for cases specifically permitted in accordance with the regulations of the State Bank of Vietnam (SBV). For foreign exchange control in respect of foreign loans and remittance of investment returns, repatriation of foreign earnings, opening offshore account and maintaining foreign currency account in Vietnam, please refer to questions 7-9 respectively. Borrowers will need to purchase foreign currency at an authorised commercial bank to make payment to foreign lenders. Payment of loan interest and charges to foreign lenders will be subject to a foreign contractor withholding tax of 5 per cent. In terms of remittance of investment returns, foreign investors may remit overseas their lawful revenue from foreign direct investment activities in Vietnam, and may purchase foreign currencies at an authorised commercial bank. However, there is no guarantee on the availability of foreign currency for conversion at authorised credit institutions, except in certain major energy and infrastructure projects where a government guarantee to sponsors is secured. Project companies must repatriate their foreign earnings unless otherwise specifically approved by the SBV. Such foreign earnings must not be converted to local currency and must be transferred through a direct investment capital account. Alternatively, the project company may open an offshore account if it falls within the statutory circumstances under the laws of Vietnam and is approved by the SBV for the opening and use of such offshore accounts. A project company may establish and maintain onshore foreign currency accounts at authorised credit institutions in Vietnam for limited purposes. The project company may open an offshore foreign currency account subject to the prior approval of the SBV. Under Vietnamese law, there may be statutory restrictions on foreign ownership of a project and related companies depending on the business sectors. However, with the accession of Vietnam to the World Trade Organization (WTO), foreign investors in several services sectors have been benefited from the uplifting of such restriction pursuant to the Schedule of Specific Commitments in Services of Vietnam to WTO (WTO Commitments). There are also certain restrictions, for example, foreign lenders cannot take security over land use rights in Vietnam. Such restrictions remain upon foreclosure on the project. To date, Vietnam has signed 65 bilateral investment treaties, with 47 treaties still in force. Some key nations are Australia, Japan, Germany and China. However, we understand that there is no bilateral investment treaty that may afford relief from such statutory restrictions. A project company established in Vietnam having foreign shareholders’ equity for less than 49 per cent of the charter capital of the enterprise can only obtain insurance policies from a duly licensed insurance company operating in Vietnam. A project company established in Vietnam having foreign shareholders’ equity for more than 49 per cent of the charter capital of the enterprise may obtain insurance policies from either local or foreign insurance company. To provide cross-border insurance services in Vietnam, foreign insurance companies must meet certain conditions such as credit rating, total assets, required deposit; and having headquarters in a country with which Vietnam has entered into an international trade treaty, enabling the provision of cross-border insurance services in Vietnam. Regarding reinsurance, cut-through clauses are customary, whereby proceeds from such policies will be paid to foreign insurance companies which agree to enter into a reinsurance agreement with a local insurance company. The law requires such foreign insurance company to satisfy some conditions such as credit ratings, total assets and other conditions such as paying capacity required in the country of its headquarters. For foreign workers, technicians or executives to work on a project, there are several requirements applicable to both a foreign employer and a domestic employer and a foreign employee. The domestic employer may only recruit a foreign employee if Vietnamese employees do not meet the requirements of the proposed position. The domestic and foreign employers must decide on the number of foreign employees needed in each position and submit a report to the competent authority. They also need to report to the competent authority in case there are changes on the number of foreign employees required. The employer must report regularly to the competent authority on the employment of foreign employees. Except for some cases provided by the Labour Code and Decree 11, foreign employees are required to have a work permit issued by competent authority. If foreign employees are not required to have a work permit then the employer must seek confirmation from the competent authority. The importation of used equipment is subject to certain conditions, for example, such equipment must meet safety, energy saving and environmental protection requirements prescribed by the applicable law. Certain equipment is prohibited by law from being imported. The importation of equipment must comply with the Law on Customs. In practice, sponsors will typically negotiate to include a contractual provision in a government guarantee or a project agreement to assure no nationalisation or expropriation of any assets of the investors, or for a stabilisation of the agreed rights and benefits conferred upon the investors throughout the duration of the project. exemption or reduction on land use fees. The applied incentives for each project will be recorded in the related investment registration certificate (IRC). If an IRC is not required for the project, the investor will prove this to the competent authority in order to enjoy each incentive in accordance with the law. No incentive is available to foreign lenders. Relevant government agencies with authority over projects in a typical project sector include the government ministries and provincial people’s committees. At central level, the government ministries will be responsible for development strategies and master plans, long-term and five-year plans, and national programmes and projects in respect of the sectors under its state management, which will then be executed upon approval by the prime minister. This includes promulgation of decisions, directives, circulars and other legal instruments to facilitate the execution of the investment project within the scope of its state management. the Ministry of Finance in charge of financial policies and measures in support of project execution. Historically, many sectors such as power, mineral extraction (including oil and gas exploration and production) and transportation infrastructure, were entirely government-owned. Following the renovation policy in 1986 and the Foreign Investment Law enacted in 1987, there is a movement towards state management from state-owned production and operations. Since then, the line ministries retain regulatory functions rather than state ownership of project companies operating in the business sectors under their management. According to article 53 of the Constitutional Law 2013, natural resources including oil and gas, minerals, water and other natural resources located in the land, islands, internal waters, sea territory, exclusive economic zones and continental shelf of Vietnam are owned by the people and are managed by the state. Foreign parties may acquire rights to conduct exploration and production by way of entering into contractual arrangements (eg, production sharing contracts) or obtaining related licences and approvals. Vietnam’s royalty system is revenue-based, being calculated upon the actual quantity of commercial production of natural resources, the taxable value per unit and the applicable royalty rate as per the Royalty Tax Law 2014. There is no distinction between the royalties on extraction payable by domestic and foreign parties. Royalty tax applies to the extraction of natural resources, with the rates being between 1 per cent and 35 per cent depending on the kind of resources. Crude oil, natural gas and coal seam gas are taxed at progressive tax rates depending on the daily average production output, with applicable rates ranging from 7 to 29 per cent for crude oil, and 1 per cent to 10 per cent for natural gas. Also, an environmental protection fee is required to be paid. For example, the environmental protection fee is 100,000 dong per tonne (for crude oil) or 50 dong per cubic metre (for natural gas) or 35 dong per cubic metre (for associated gas). There is an export duty imposed upon the export of natural resources with applicable rates ranging from zero per cent to 40 per cent, which is subject to change. An in-principle approval for an infrastructure project may be required from the National Assembly, the Prime Minister or the relevant People’s Committee at provincial level subject to the type and size of such project. Foreign investors will typically obtain an IRC from the Ministry of Planning and Investment or a provincial people’s committee and then obtain an enterprise registration certificate for the establishment of a project company. Borrowers of a foreign loan with a term of more than one year must register the foreign loan with the SBV. See also question 21. Foreign investors may be required to open a capital account in either foreign currency or local currency for the purposes of transferring equity into Vietnam to operate investment projects and offshore remittance. Foreign loans and any remittance thereof must be made through a direct investment capital account if the borrower is a foreign direct investment enterprise; otherwise, the borrower must open a loan account at a bank in Vietnam licensed for borrowing purposes. Foreign investors, via the project company, must apply for land use right certificates for leased land areas that need to be used for the development, construction and operation of infrastructure projects. Land rentals for leased land areas in respect of PPP projects are exempted or reduced during the term of investment in accordance with applicable laws and regulations on land. In a typical project finance transaction, the investors must prepare an Environmental Impact Assessment report and submit it to obtain the approval of the Ministry of Natural Resources and Environment or relevant line ministries or provincial people’s committees. A fee is payable to competent authorities, which ranges from 6 million dong to 96 million dong, depending on the project type and size. short-term loans that are not covered by any loan renewal contract but with the outstanding principal owed on the anniversary of the date of the first fund withdrawal in a full calendar year, except to the extent that borrowers have already fulfilled their debt obligations within a permitted duration of 10 days after the anniversary of the date of first fund withdrawal in a full one year. other secured transactions specified by the laws. Local courts may consider the recognition and enforcement of contractual provisions on foreign arbitration and a foreign arbitral award if such award is made in the laws of the countries that entered into mutual legal assistance treaties with Vietnam or on a reciprocal basis. Vietnam is not a party to the International Centre for Settlement of Investment Disputes. 0ther disputes in which the law stipulates that arbitration is a permissible means of resolution. (iv) economic organisations with foreign investors and the organisations mentioned in point (ii) holding at least 51 per cent of the charter capital. 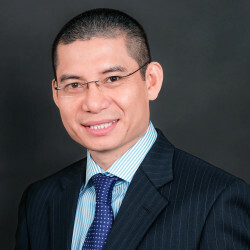 Domestic arbitration will apply to disputes between domestic investors, foreign-invested enterprises or between a domestic investor, foreign-invested enterprises and a state administrative body of Vietnam relating to investment activities in the territory of Vietnam. Vietnamese courts will consider the recognition and enforcement of foreign arbitral awards of a country that is a party to a relevant international treaty to which Vietnam is a signatory. In the absence of a relevant international treaty, the recognition and enforcement of foreign arbitral awards may be made on basis of the principle of reciprocity. English law is typically selected by the parties for financing documents (including facility agreements and intercreditor agreements) and certain government-guaranteed project documents (including the concession agreement and the supply and off-take agreements). However, the governing law of a land lease agreement and onshore security agreements is Vietnamese law. The choice of a foreign law may not be recognised if the consequence of its application is contrary to the fundamental principles of Vietnamese law. The concept of ‘fundamental principles of Vietnamese law’ has not been clearly defined, so Vietnamese courts have broad powers to interpret this concept on a case-by-case basis. The Law on Investment 2014 clearly renders disputes between foreign investors or project companies and government authority arbitrable, and such disputes can be referred to international arbitration or arbitration in other jurisdictions. With reference to the recognition and enforceability of foreign arbitral awards, see question 22. Vietnam or the central or local government agency waives the immunity. Although the Civil Code 2015 for the first time sets out circumstances under which a waiver of sovereign immunity by the State of Vietnam or a Vietnam government agency is effective, the question of enforceability of such waiver as to the concept of sovereign immunity remains largely untested. The Law on Environment Protection 2014 and its implementing legislation generally address environmental issues in respect of projects in different industry sectors, and the Ministry of Natural Resources and Environment is the regulatory body administering those laws. Project companies may theoretically take one of the corporate forms as prescribed by the Law on Enterprises 2014. As a practical matter, sponsors typically select the form of limited liability company for major infrastructure projects. Depending upon the status of project implementation and investment structure, foreign investors may choose either 100 per cent foreign-owned enterprise or a foreign-invested joint-venture enterprise between foreign investors and at least one domestic investor, subject to applicable limitation on foreign ownership (if any) depending upon the type of business sector. In respect of upstream oil and gas projects, investors may establish a project company in the form of a joint operating company acting as petroleum operator that is responsible for day-to-day operation of the project. Despite its corporate structure, the project company shall conduct the project work for and on behalf of all investors participating in the petroleum production sharing contract on ‘no gain, no loss’ basis, and all investors to the extent of their respective participating share shall indemnify the project company from all loss and liability. Principal sources of debt financing available to project companies include (i) onshore loans from credit institutions and finance companies licensed to operate in Vietnam, (ii) offshore loans from foreign credit institutions and (iii) state investment loans. In practice, foreign lenders of large infrastructure project will normally require a government guarantee for assurance of the repayment of the loans, which is granted on a project-by-project basis. Key legal authority on public-private partnerships (PPP), among others, is Decree 63/2018/ND-CP (Decree 63) dated 04 May 2018 issued by the government (effective on 19 June 2018). This legal instrument expressly provides for multiple forms of concession, including build-operate-transfer (BOT), build-transfer-operate, build-transfer, build-own-operate, build-transfer-lease, build-lease-transfer and operate and manage. The prime minister also has an express authority to approve other forms of concession. other sectors subject to the prior approval of the prime minister. Successful development and commercialisation of major PPP infrastructure projects in Vietnam are primarily funded by a mix of external debt and equity finance. It is required that the equity component of a PPP project must be at least 20 per cent of the total investment capital expenditure up to 1,500 billion dong and 10 per cent for investment capital exceeding 1,500 billion dong. Other sources of funding are typically mobilised through shareholders loans from sponsors and multi-tranche syndicated senior secured debt facilities from domestic and international lenders. Determination of viability gap funding and government participation are key issues to note. Other key risk areas for sponsors and lenders include the lack of a robust and consistent risk allocation between the government and the sponsors, the level of public sector (ASA) expertise to negotiate deals in an efficient and timely manner, the issues of foreign currency availability and convertibility, the statutory restriction on mortgage of land use rights in favour of international lenders, and the payment ability and creditworthiness of Vietnam project counterparties. Nghi Son Refinery project (Idemitsu Kosan, Mitsui Chemicals, Kuwait Petroleum and PetroVietnam as sponsors). Vung Ang 2 coal-fired BOT power project (1,200MW, One Energy Asia Limited as sponsor, jointly owned by Mitsubishi Group and CLP Holdings). With respect to latest Vietnam policy developments, there are high-level discussions on the promulgation of a new PPP law by the Vietnam National Assembly in the years to come. However, such legislative initiative is still in the build-out mode, and details of the form and scope of such law have not been released for public consultation.